If you are looking to gain a Diploma of Remedial Massage (HLT52015) in Melbourne, we can provide you with the qualification to become a professional nationally recognised massage therapist. 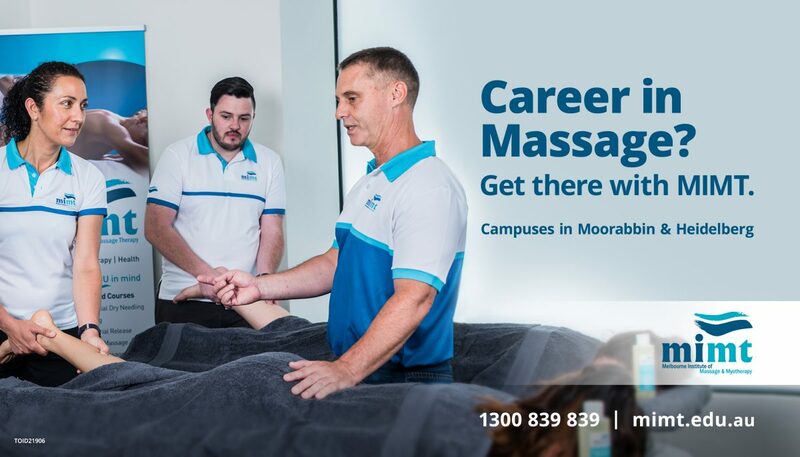 With campuses both in Heidelberg and now Moorabbin, we will give you the opportunity to gain all the skills required to work as a Remedial Therapist. Not only are you offered the highest level of training by industry experts, you will also benefit from a depth of opportunities in corporate and clinical environments. Many of our graduates have gone on to highly successful careers around the world including: Manchester United Soccer Team, Western Bulldogs, major cruise liners and elite Australian sporting teams, or in building their own successful businesses. By studying the Diploma of Remedial Massage (HLT52015), MIMT can help you get there. Furthermore, State & Federal Funding is available which is subject to eligibility. Our Course Advisors will be able to discuss your options further so please complete the enquiry form or contact us on 1300 839 839. Our next intake is in August and places are filling fast, so now is the time to get started on your pathway to a new career. Have you done any massage training before?